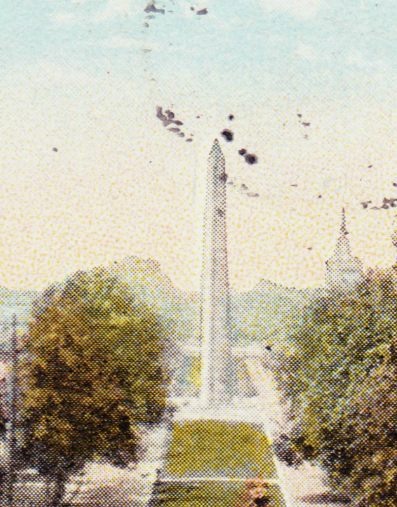 A modern photograph would not show the Dauphin County Veteran's Memorial Obelisk, the 110-foot tribute to Union Civil War soldiers that can be seen in the distance at the center of this postcard. 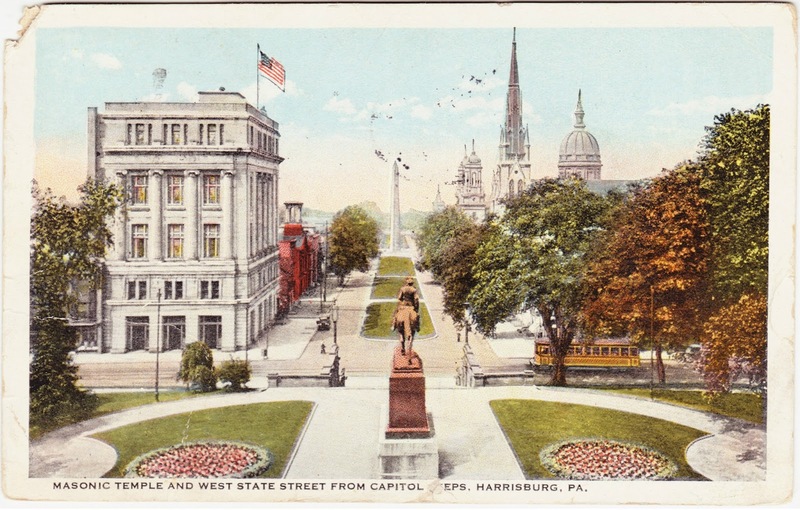 In 1960, it was moved from its original location to Third and Division streets, in uptown Harrisburg. How is Winfield? Don't get married before I get back. I want to attend the wedding. Wish I was in [?] at the beach. Probably "Lynn" as in Lynn, Massachusetts, which is "home to two beaches, Lynn Beach and King's Beach," according to Wikipedia. True to your word, the obelisk is not in evidence. Happy Sweet 16 to Sarah!